Join us in Las Vegas at the Aria Resort for the 6th Annual Health & Benefits Leadership Conference from April 4-6! 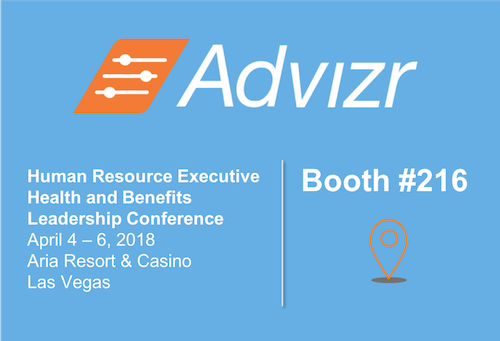 Come visit us at booth #216 and meet our SVP of Enterprise Sales, Noah Herman and Program Director of Financial Wellness, Maria Behrens to learn how Advizr Workplace is leading the way in integrating financial planning, financial education, and employee wellbeing. Human Resource Executive® & Benefits Leadership Conference is the nation’s most innovative conference on benefits for employers.